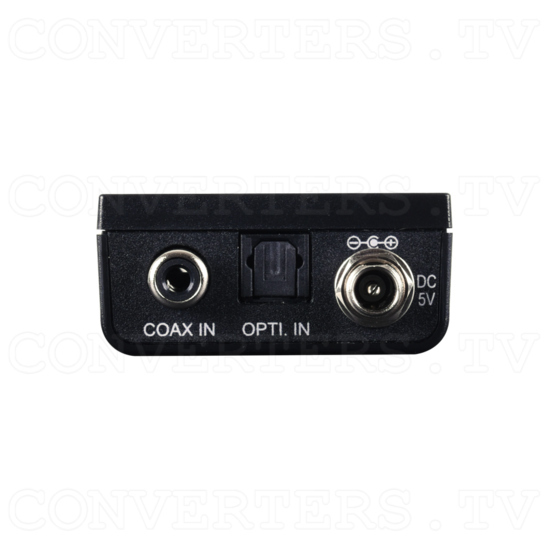 This Digital to Analog Audio Converter with DoP Decoding is designed to accept an optical or coaxial LPCM audio source and convert it to Left / Right analog audio, with volume control. 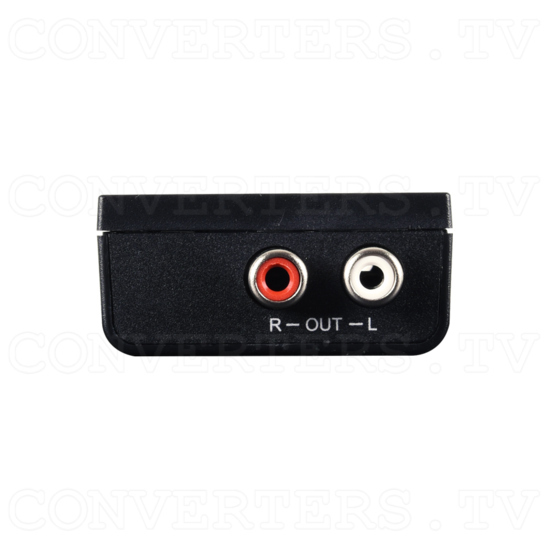 The Digital to Analog Audio Converter with DoP Decoding utilizes a DSP engine, rather than software, to prevent audio distortion during the digital to analog conversion and supports decoding DSD over PCM (DoP). The maximum acceptable audio sampling rate from sources is 192kHz/24bits. Output volume can be adjusted from 0dB to -50dB. An additional feature reduces the chance of pops, or noise, when plugging in an audio source. 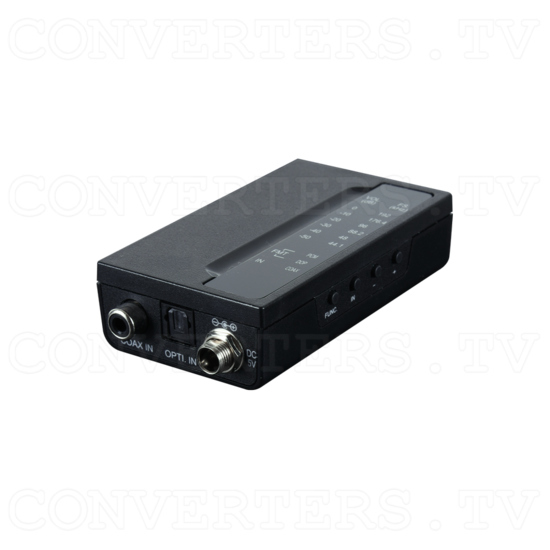 This Digital to Analog Audio Converter with DoP Decoding is designed to accept an optical or coaxial LPCM audio source and convert it to Left / Right analog audio, with volume control. The Digital to Analog Audio Converter with DoP Decoding utilizes a DSP engine, rather than software, to prevent audio distortion during the digital to analog conversion and supports decoding DSD over PCM (DoP). The maximum acceptable audio sampling rate from sources is 192kHz/24bits. Output volume can be adjusted from 0dB to -50dB. An additional feature reduces the chance of pops, or noise, when plugging in an audio source.